What a fantastic week being finished with a group of NOW generation leaders. This week we had the privilege of seeing 25 people pray to receive Jesus as Savior. Today we saw five Haitian new believers baptized in the beautiful Caribbean. I had the privilege of encouraging our Haitian pastoral staff of now nine full-time men. We are making the plans to formalize our Bible Institute. Currently we are training 200 men to be pastors through Institute Biblique Transformation Grace of Haiti. We have just expanded our network that now includes our Church2Church Program that has now identified with 20 strategic cities in Haiti as well as creating our Open Network for Pastors to join us in what God is doing throughout all of Haiti. 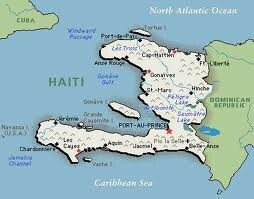 I am confident that within this next year we will see over 100 new churches established in Haiti. Great meetings with the hospital staff. This is a difficult venture. There are now three doctors and four nurses along with clerical staff in our partner hospital in Bercy, Cabaret. We look forward to the arrival of the medical team from Grace Akron in April. Get signed up for a team that is on our schedule. Partner with a new village. Contact us today!